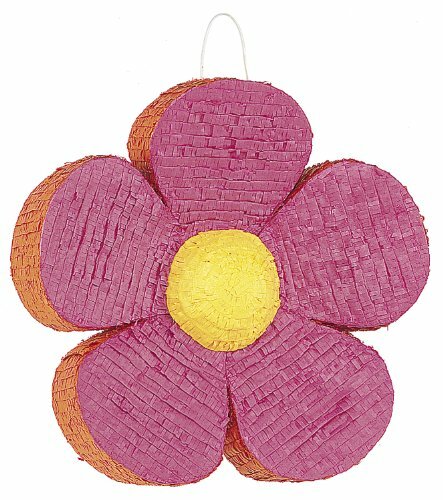 Bring some flower power to your next party with this Daisy Flower Pinata. This flower-shaped pinata, is not only a party game, but also a great party decoration for any flower theme party including a girl birthday party. Fill this pinata with your own flower themed party favors and birthday treats, and have each guest take turns trying to break the pinata open and unleash all the treats.